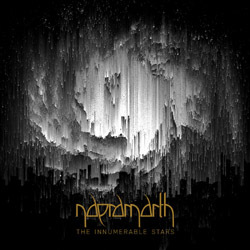 American atmospheric progressive metal band Naeramarth, the personal project of Gage Love from Salt Lake City, Utah has recently released its debut full-length album “The Innumerable Stars“, an amazing work that takes the listener on a progressive voyage of discovery. Rooted in the sonic soil of Mellotron-drenched progressive rock and metal acts like Leprous, Opeth, and Katatonia, Naeramarth explores a variety of progressive spheres. From the frigid and earthy lands of progressive black metal (Ihsahn, Enslaved), to the forlorn melancholy of melodic death and doom metal (Dark Tranquillity, Daylight Dies), with the cinematic bombast and theatrical spirit of Devin Townsend, Symphony X, and Wintersun. “The Innumerable Stars” also features the harsh vocals of Paul Black and culminates in the over-16 minute long epic, “Through the Cosmos II: The Arrival“. “The Innumerable Stars” is an emotional, cerebral journey, sure to pierce the depths of both the heart and the mind. All music recorded, produced, and mixed by Gage Love, 2016 – 2017, except saxophone that was recorded at Shining Studios by Jørgen Munkeby. Mastered by David Castillo at Ghost Ward. The beautiful cover is by J.L. Feveryear, the design by Ashley and Gage Love and the photography by Paul Black / Black Marble Photography.